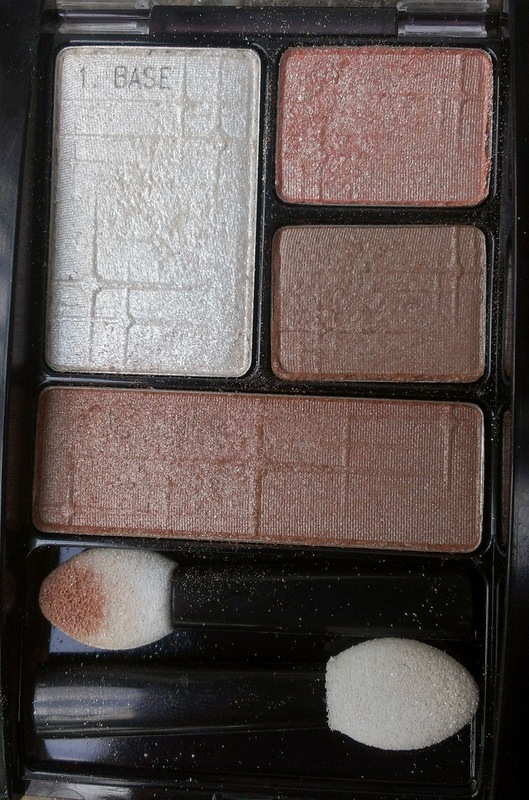 I decided on the Expert Wear Luminous Lights Eyeshadow Quad in Rose Lights. While it was a total impulse buy, I had seen these quads on Ulta's website and was somewhat curious. I am a totally into any and all things shimmery, so these shadows seemed like something that would be right up my alley. And boy, are they shimmery! You can probably tell from the photo above that there's no shortage of shimmer going on in these shadows. In fact, wearing them all together is almost a little too much even for a total shimmer junkie like me. However, the shades I chose, Rose Lights, are pretty sheer and natural so the look is almost subtle, despite the tons of shimmer. But definitely eye brightening, as Maybelline claims. I really like the wide awake look they give. The quad contains a shimmery white, a shimmery light pink, and two shimmery rosy brown shades that are a little too similar to be in the same collection, if you ask me. 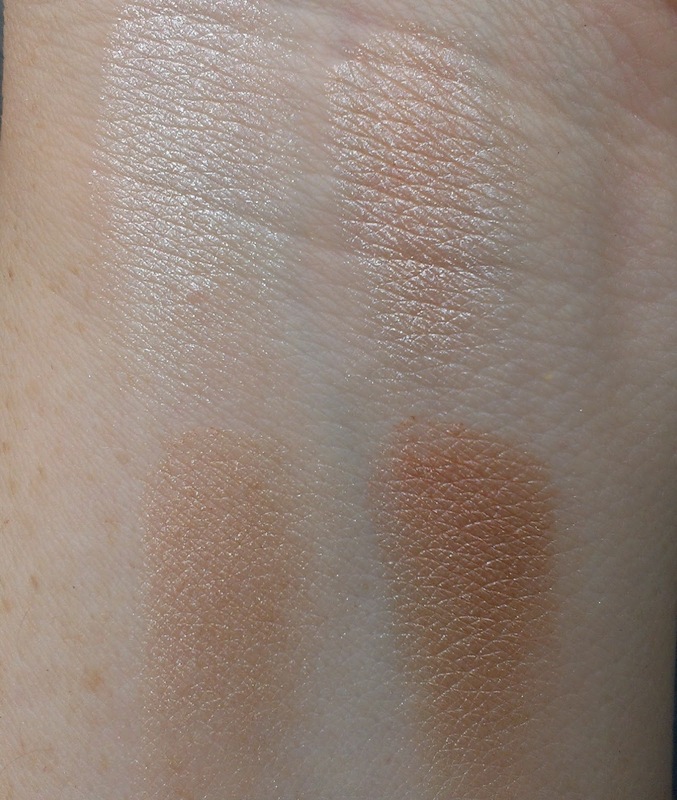 The two lightest shades in the quad, the white base color and light pink lid color, aren't very pigmented at all, and while that's kind of a bummer, they still serve a purpose. In particular, I'm a big fan of the white as an inner corner highlight. I have quite a few frosty white shades that I like to use in my inner corner, but they're all pretty pigmented so they can look a little stark if I don't blend carefully enough. The white in the Rose Lights quad is sheer enough that it brightens the inner corner without looking too obvious. It's a very pretty effect. 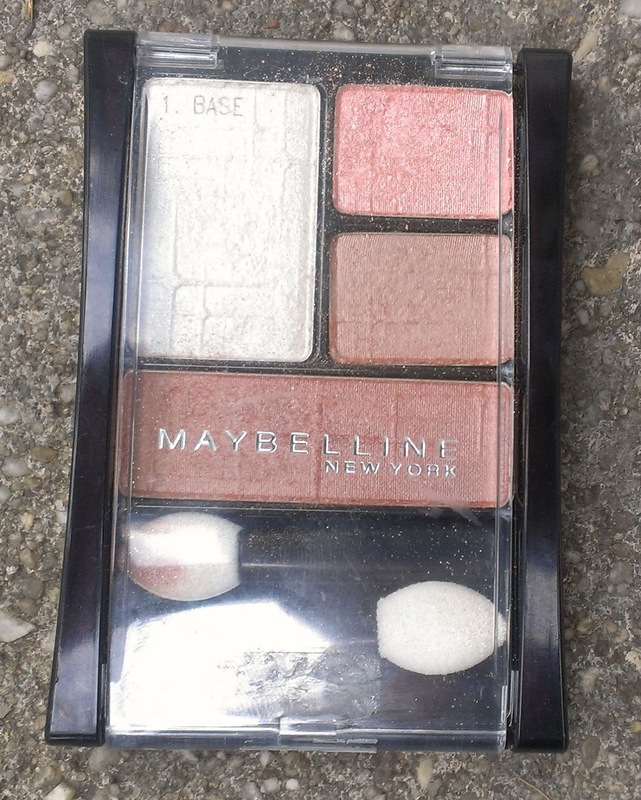 The light pink shade is nice for layering over shadows that are a little flat so they have some brightness and shimmer. The rosy brown shades are both nice and fairly pigmented, but I see them more as lid colors than a crease and liner shade as Maybelline suggests. All in all, I like this quad and will use it. But I'm probably not going to buy any others and I don't think that I'd recommend you run out and get it - unless you have a shimmer fetish like I do. What's your favorite eye shadow finish?